If you're looking for a quirky, vampire comedy with hints of romance, teenage angst, mingled with a little "cheese," look no further - Dark Shadows is your man. Director Tim Burton finally returns to his dark roots with his latest efforts. And even though it doesn't come close to Burton's classics - Batman, Edward Scissorhands, Beetlejuice - it's still entertaining. 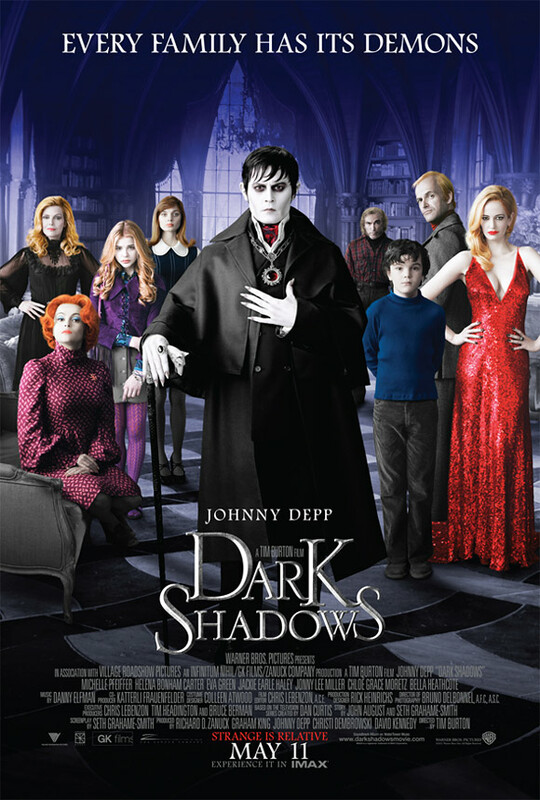 In case you don't know the story, it goes something like this: Johnny Depp stars as Barnabas Collins, a prominent citizen of Collinsport, Maine, who had the misfortune of breaking the heart of a witch, Angelique Bouchard (Eva Green). She retaliates by turning Barnabas into a vampire, and burying him for 200 years. When he escapes, it's 1972. He returns to his family mansion, which is occupied by a new generation of Collinses, including Elizabeth (Michelle Pfeiffer) and young Carolyn (Chloë Grace Moretz who I adore, btw). Additionally, a new governess, who oddly enough resembles Barnabas's long lost love, turns up. Barnabas tries to restore the family's glory, and its fishing business, but Angelique is still alive and hell bent on possessing Barnabas at any cost. 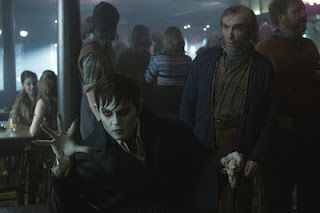 With its malnourished story line, by no means is this popcorn flick worth remembering (even though it does have two important key players - JD and vampires), but as a whole, and not to be a complete downer, Dark Shadows is still enjoyable, humorous and fun to watch. I applaud Burton and his amazing special effects crew as well. The visuals were phenomenal! Absolutely stunning. If you remember anything from this movie it's the special effects, backed by a great 70's soundtrack. All in all, I'd say this is a renter.